We are very proud that Bears on Ice was named one of the 15 best bear events around the world by the editor of Bear World Magazine. Here is a clip from HIV Iceland’s annual newsletter Rauði Borðinn 2017. The interview with Frosti, the main organizer of Bears on Ice, talks about the event, what it is all about, how it has grown through good reputation as it has no advertising budget and also the importance of organizations like HIV-Iceland. Bears on Ice is one of the top 30 Bear Events for 2018! 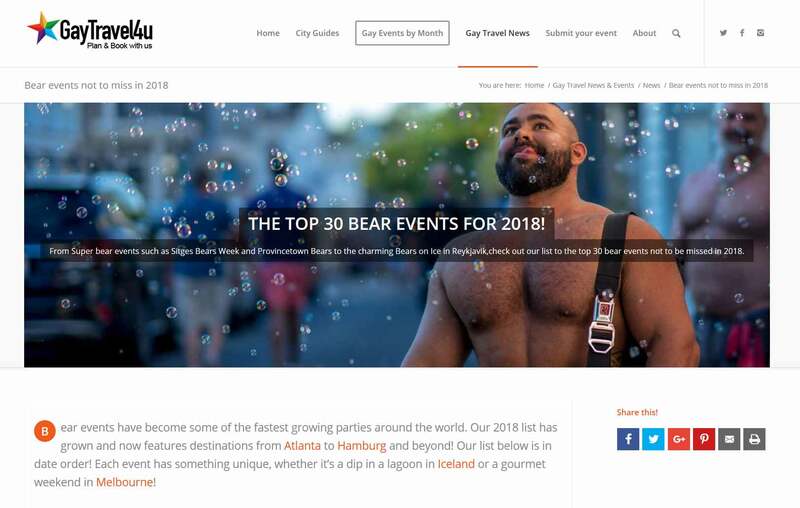 Thank you GayTravel4u for listing Bears on Ice among the top 30 Bear Events for 2018! Read their feature on Bears on Ice and the top 30 Bear Events for 2018! This article appeared in DV, one of Iceland’s biggest newspaper / news-websites. It's an interview with Frosti Jónsson, who plans the event, and talks about the history of the event, bear culture in general, how it all got started and what it's all about. 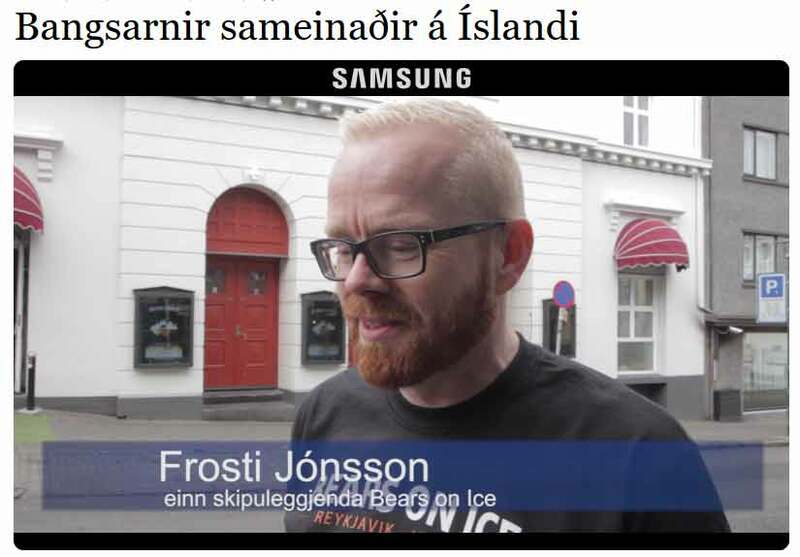 One of Icelands biggest media interviewed Frosti Jónsson, one of the main organizers of Bears on Ice, when the 2017 event was about to start. They talked about the origins of the bear scene, how inclusive it is compared to other gay scenes and the Icelandic Bears on Ice event that has been running since 2005. 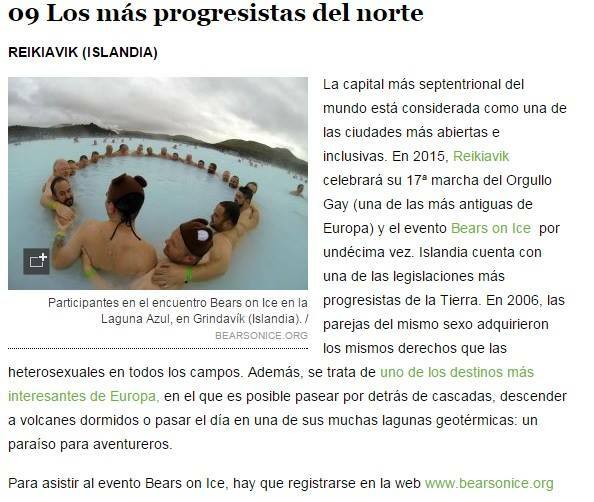 Thank you Roald / GayIceland.is for this wonderful feature article on Bears on Ice and how it has proven to be a life changing experience for some of our guests. 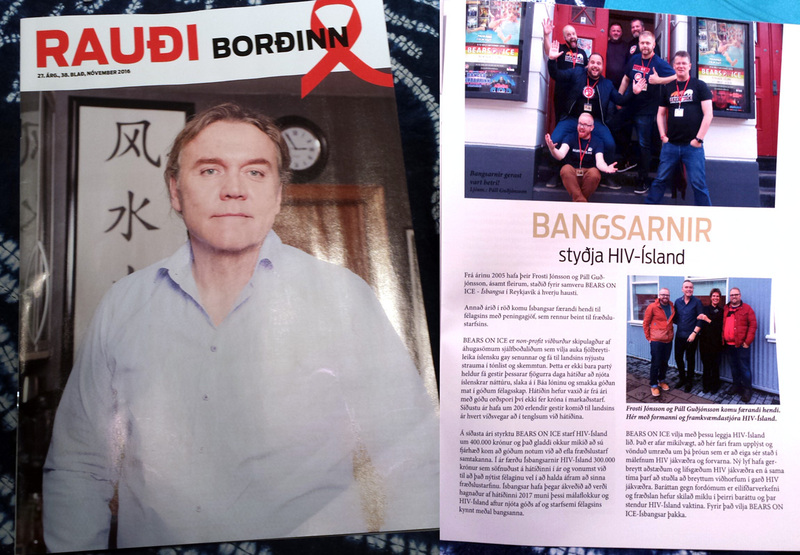 Here is a clip from HIV Iceland’s annual newsletter Rauði Borðinn. 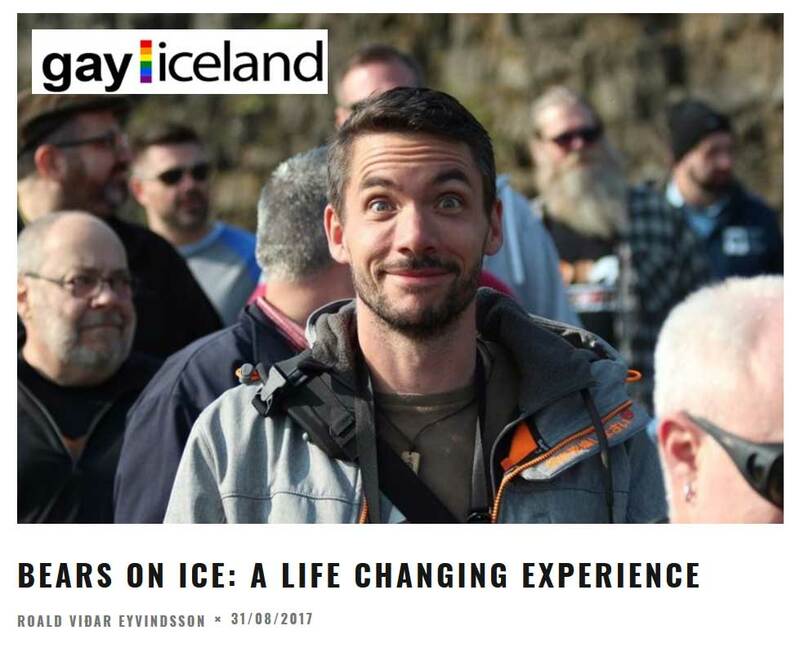 Bears on Ice is a not for profit event run by volunteers to boost the gay scene in Iceland and bring like minded guys from all over the world together. For four days they mingle, socialize, explore Icelandic nature, make new friends and party together at night. 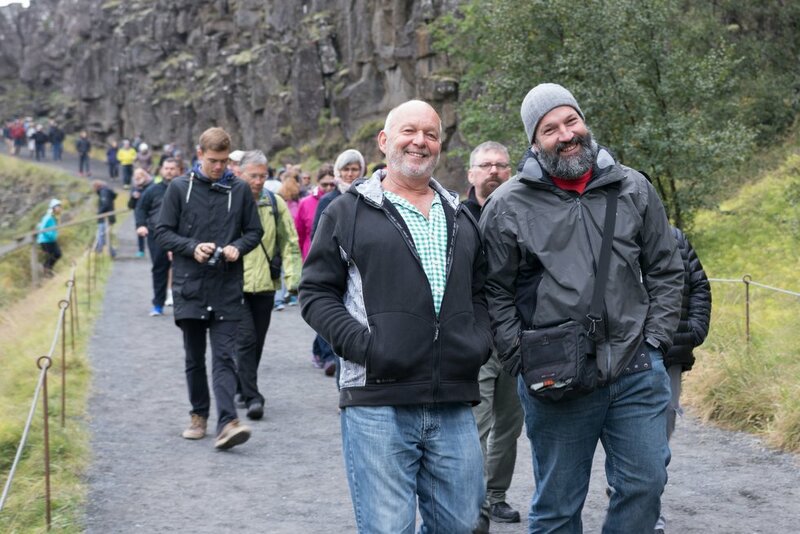 This past weekend, an international cavalcade of burly men inundated the City of Reykjavík and its surrounding natural wonders. Who were these burly men? What did they want? Why were so many of them wearing cargo shorts? 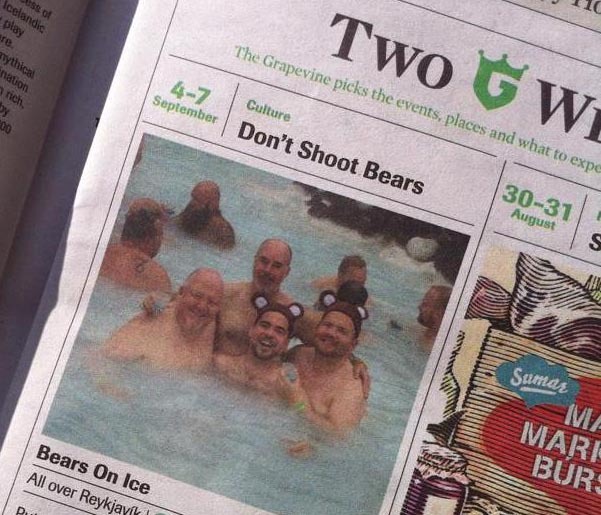 They were the men of Bears On Ice, and they came here to party. Also to sightsee. Frosti Jónsson interviewed in Fréttablaðið, Icelands biggest newspaper. He talks about the event and how inclusive it is and how we try to make everyone welcome. You would probably never see this headline anywhere but Iceland. It's making fun of the hysteria a few weeks earlier when it was rumored that a polar bear had washed on the Icelandic shores. That does happen and they tend to be very hungry and can be dangerous. The guys coming to Bears on Ice are much friendlier. This article appeared in Fréttablaðið, Icelands biggest newspaper. It's an interview with Frosti Jónsson who plans the event and talks about the history of the event, how it all got started and what it's all about. 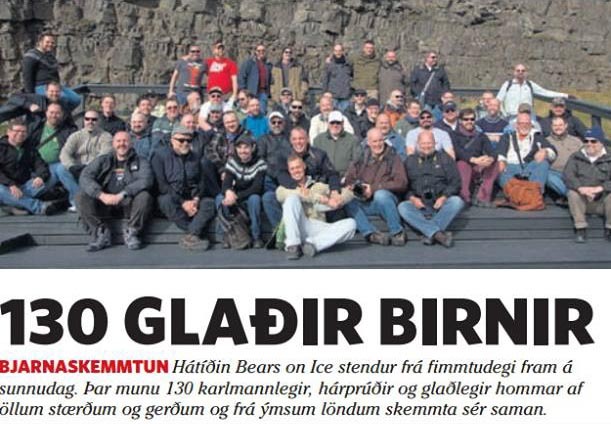 The headline is 130 happy bears and the subtext is about the 130 manly hairy and fun gay men of all sizes and nationalities who are headed for Reykjavík to have a fun weekend. Snapshots from Bears on Ice 2016 - The Blue Lagoon. Click on a thumbnail to view fullsize.